Whether you need warehousing space, inventory control, or product representation solutions, CRC Logistics provides comprehensive distribution services designed to achieve your business goals. We provide breakthrough distribution solutions that streamline your supply chain from end-to-end. With CRC’s global network of over 60 strategically located warehousing facilities, team of site selection analysts, and experience in warehouse design and construction, CRC delivers on-demand storage solutions customized to grow with your business. CRC’s site selection team locates cost-effective, centrally located warehouse space to expand your sales network while controlling transportation costs. We evaluate your inventory needs and distribution channels against facility availability, rates, and features to identify optimal warehouse locations for your business. From negotiating the terms of the lease agreement to rental rates, CRC Logistics will get you the best deal possible, whether or not your warehouse is in our network. From dedicated facilities to shared spaces, CRC provides reliable and secure warehousing solutions tailored to fit your inventory needs. Clients rely on our network of facilities to store products ranging from industrial manufacturing materials, medical supplies, and chemicals to consumer packaged goods, food grade items, and beverages. 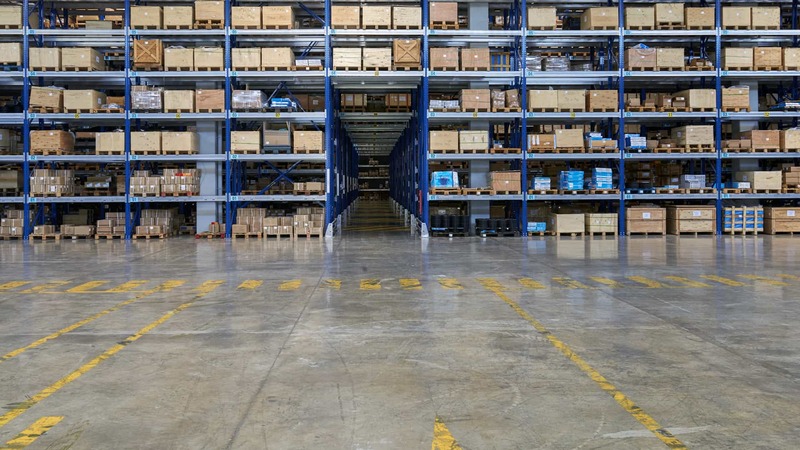 Whether you need temporary storage for a seasonal surge or a dedicated facility to expand into a new region, CRC has the experience and resources to provide warehousing solutions that help you achieve your business goals. When existing facilities are unsuitable for your inventory, CRC has the resources to convert, design, or build a new facility to meet your storage needs. We review commercial real estate listings and negotiate sales on your behalf, redesign and optimize facility layout, and handle renovations to streamline product flow and maximize warehouse efficiency. Our project management team oversees facility construction with a dual focus on quality and speed, so your warehouse space is up and running without defects or delays. From 1,000 sq.ft. to 1 million sq.ft., CRC’s facility construction solutions are designed and built to transform your supply chain. From inbound logistics to outbound deliveries, seasonal surges to contract packaging, CRC Logistics takes pride in developing inventory solutions that increase your throughput without raising your overhead. CRC’s cloud-based warehousing software tracks your inventory in real-time so you can access your data whenever you want, wherever you want. Whether you use RFID tags, barcode labels, location beacons, or GPS trackers, our technology integrates your product data with cutting edge software platforms, eliminating lag time and enabling real-time reporting. CRC has decades of experience complying with specialized storage and handling requirements across a wide variety of industries. We can accommodate dry, refrigerated, and frozen goods, as well as products requiring heightened security and monitoring. From alcoholic beverages to hazardous chemicals, we are well versed in industry regulations and can handle scheduled audits, surprise inspections, and reporting on your behalf. Whether CRC handles a portion of your inventory or the entire stock, we provide scalable management solutions that adapt to fluctuations in supply and demand. We evaluate your products, material flow, and supplier network to optimize your warehouse layout, save space, and improve turnaround time. Using state-of-the-art technology, our experienced staff inspects and processes your inbound and outbound shipments quickly, accurately, and safely so your goods get where they need to go – on-time and error-free. CRC’s flexible support team helps you evolve and respond to fluctuations in consumer demand, high carrying costs, and just-in-time inventory systems that stretch your capacities. When you need extra hands on deck to get your products to market, we operate as a seamless extension of your core business and get the job done. Whether you are facing a seasonal surge during the holiday season or an unexpected spike in demand, CRC provides qualified labor you can rely on. From the refinery to the retail shelf, CRC has the skills and resources to optimize your product packaging from top to bottom. Our bulk and retail packaging solutions reduce transportation and warehousing expenses while maximizing sales, so you can grow your business without raising your overhead. CRC’s box, bag, bulk, and liquid packaging equipment allows us to handle everything from the logistics of postponement packaging and stateside product assembly to kitting, labeling, and palletization. Whether you trade in ounces or tons, CRC has the expertise to provide packaging solutions that boost efficiency and reduce expenses. CRC Logistics provides turn-key supply chain management and logistics solutions that drive efficiency, generate cost savings, and stimulate sustainable growth.